Earlier this week Jane Mayer of the New Yorker published an exhaustive treatise detailing how Fox News and Donald Trump’s White House have become inextricably intertwined. The article presented numerous examples of the network working hand in hand with the administration to either whitewash Trump’s failures or malign his critics. While the political bias of Fox News is not a revelation, the aggregation of so much evidence in one story has a had a real impact. Among those impacted was the Democratic National Committee (DNC), who shortly after the article was published reversed their prior position of allowing Fox News to host a Democratic primary debate. That was never a good idea, but it took the voluminous presentation by Mayer to convince the DNC. 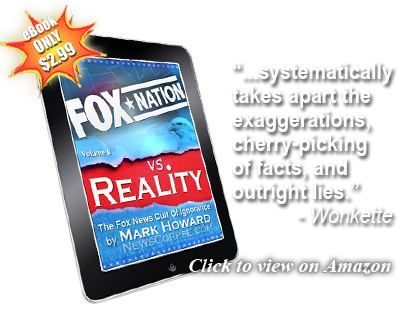 And subsequently, more testimony to Fox’s propagandistic aspirations have come to light. Goldberg went on to lambaste Fox and singled out Sean Hannity for conducting interviews that “resemble wet kisses a lot more than journalism.” And he further alleged that Fox News was blacklisting any conservative on the network who wasn’t unwaveringly adoring of Donald Trump. But the banishment was strictly limited to disloyal conservatives. This is the environment at Fox News as described by a stalwart conservative commentator. And the treatment he’s receiving isn’t unique to him. Fox previously jettisoned conservative Trump critics like David Frum, Bill Kristol, and George Will. It’s clear that anyone who strays from the approved doctrine will be excommunicated and banished. Now some people are aghast that the DNC nixed Fox as a host for their primary debates. It seems unarguable that a network that has devoted itself to destroying Democrats through insults and lies ought not to recognized as a legitimate news enterprise and rewarded for their abuse. Indeed, Fox’s rabid hatred for Democrats even led one of their top personalities, Lou Dobbs, to tweet a call for Democrats to be prosecuted for abuse of power and treason. 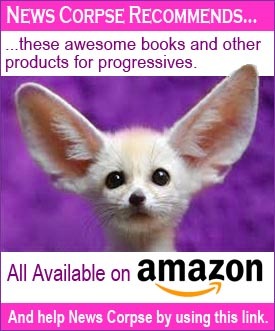 It’s also rather hypocritical to criticize Democrats for blacklisting Fox when Fox itself is blacklisting their own conservatives who they now feel have wandered off the wingnut trail. Some of the critics of the DNC’s decision claim that Fox has some reputable journalists and shouldn’t be shut out. But that’s an absurd argument. No one would attend a convention of their mortal enemies simply because there might be a handful of neutral bystanders hanging around. And those who say that Democrats who are “afraid” to appear on Fox aren’t fit for office are also missing the point. Nobody is afraid of Fox. It isn’t fear that brought about this decision. Quite the opposite. It’s having the courage to smack down a loud, aggressive, bullying opponent who means you nothing but harm. And it’s having the intelligence to deny a phony “news” operation the legitimacy of your presence and participation. The portrait that Goldberg paints of the editorial prejudices at Fox News corroborates everything that Mayer revealed in her article. And that article corroborates everything that many critics of Fox have been saying for years. And while the biases of Fox have been well known for a long time, they have gotten much worse during the Trump era. It is now a fully devotional cult worshiping clan wherein there is no discernible distinction between Fox and the Trump administration. And that is no place hold a “fair and balanced” debate for any political party. fox entertainment propaganda station/network should be taken off the US airwaves,we don’t need lies,nazism/racist news that they brain wash to there listeners.Their license should be revoked,period.They are not Americans,in fact they probably take orders from Putin and dumpy trump to fill their airwaves with hatred throughout the day and night.Get them off. “Fox news blacklists conservatives for ‘refusing to Bend Over for president donald trump”, you mean. That’s a more accurate headline. Feel free to use that instead. NO need to be polite anymore.